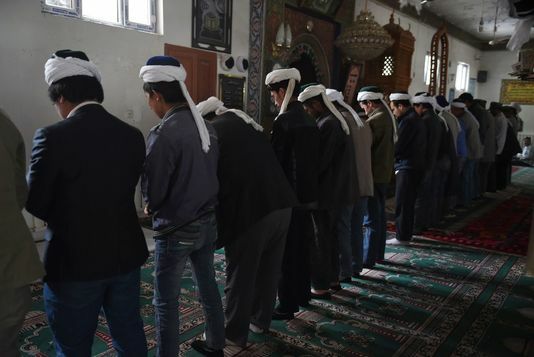 WASHINGTON – International pressure is mounting on China to end its internment of Chinese Uighurs, with House and Senate lawmakers this week pushing a new bill demanding an end to the policy toward the alleged mistreatment of the country’s Muslim minority. China’s crackdown on nearly 1 million Uighurs and its efforts to “re-educate” the ethnic Turkic Muslims in the Xinjiang province were labeled as pervasive and “gross human rights violations” in a bill that Sen. Marco Rubio, R-Fla., introduced in the Senate on Wednesday. Rep. Chris Smith, R-N.J., introduced a similar bill in the House. Rubio and Smith are co-chairs of the Congressional-Executive Commission on China. The legislation asks the State Department to consider targeted sanctions for individuals responsible for alleged human rights abuses in China. It also asks for Secretary of State Mike Pompeo to submit an interagency report on the number of persons detained in the camps, camp conditions, and the number who are arbitrarily detained, among other stipulations. Rubio and Smith’s calls for sanctions comes two months after they urged the Trump administration in September to sanction the Chinese government, as well as any private companies engaged in or complicit with the human rights violations in China’s Xinjiang Uighur Autonomous Region. They said the Chinese government has created a “high-tech police state” in XUAR that allows for widespread, intrusive spying on citizens there. “The United States must hold accountable officials in the Chinese government and Communist Party responsible for gross violations of human rights and possible crimes against humanity, including the internment in ‘political re-education’ camps of as many as a million Uyghur and other predominantly Muslim minorities,” Rubio said in a statement Wednesday. Sen. Bob Menendez, D-N.J., a ranking member of the Senate Foreign Relations Committee, called China’s treatment of its Muslim minority “beyondabhorrent” and called for action from President Donald Trump. “The President needs to have a clear and consistent approach to China, and not turn a blind eye as a million Muslims are unjustly imprisoned and forced into labor camps by an autocratic regime,” Menendez said in a statement. 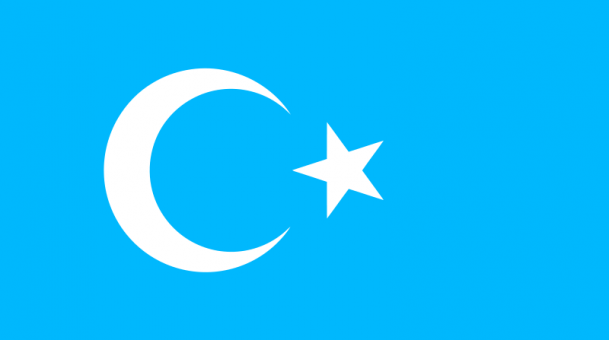 “We remain alarmed that since April 2017, the Chinese government has detained an estimated 800,000 to possibly more than two million Uighurs, Kazakhs, and other Muslims in political re-education camps,” the spokesperson said in a statement. Secretary of State Mike Pompeo has previously raised the issue of Muslim persecution in China during an address to religious conservatives and in an op-ed in USA TODAY in July, but he has not said what other actions the State Department might take against China. At a news briefing Wednesday, China’s Foreign Ministry Spokeswoman Hua Chunying accused the lawmakers of being “too obsessed with poking their noses in the domestic affairs of others” and blamed the U.S. for “systematic racial discrimination” among its own minority groups. On Thursday, Hua again objected to other countries meddling in China’s domestic affairs after being asked about a letter from 15 Western ambassadors in Beijing that raised concerns over the country’s alleged human rights abuses against minority Muslims and requested a meeting with top Chinese officials. “An ambassador is supposed to promote the mutual understanding, mutual trust and cooperation between the receiving state and the sending state, rather than raise unreasonable requests and interfere in the internal affairs of the receiving state based on hearsay,” Hua said. Reuters reported Thursday that the letter was signed by ambassadors from Canada, Great Britain, France, Switzerland, the European Union, Germany and Australia, among others.